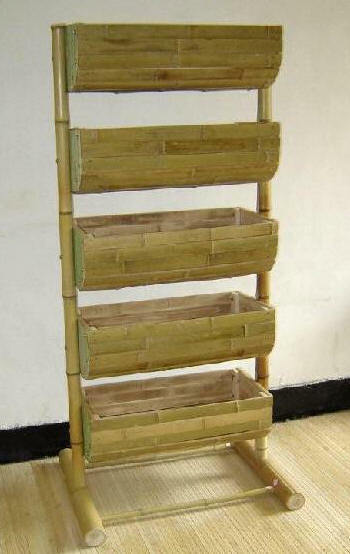 A Bamboo Storage Rack is an awesome way to attract customers. Bamboo is a natural beauty that attracts without overwhelming so the focus remains on the merchandise. Fill these 5 bins with colorful candy, craft supplies, clothing, or fuzzy stuffed animals and your customers will keep coming back for more. Order your Bamboo Floor Display today.